Although breast augmentation is the most sought-after form of cosmetic surgery, some women may desire breast reduction surgery, or reduction mammaplasty, because the size and weight of large breasts can cause great discomfort. Breast reduction surgery changes the size, position and volume of your breasts to make them more proportional to your body size. Some women seek breast reductions in order to balance out a high variation in size from side to side. Breasts that are too large can cause physical pain and discomfort, predominantly in the back, neck and shoulders, as well as irritation of the skin beneath the breasts. The pressure can force bra straps to cut into the shoulders and create visible grooves. Large breasts are not the only cause for a reduction; dense, fibrous breasts that aren’t necessarily as large can cause just as much pain and discomfort. Wilmington Plastic Surgery has the experience and expertise to address these concerns. By removing excess fat, tissue and skin, breast reduction surgery can produce a bust line that is in proportion to your body and alleviate discomfort. Like all cosmetic procedures, breast reduction should be a highly individualized choice. Women are encouraged to make this decision for themselves, and not to fit someone else’s ideal image.  In general, if the size of your breasts is causing you to be self- conscious, creating physical pain in the back, neck or shoulders, or is unsightly due to stretched skin and a pendulous shape, you may want to talk to a surgeon at WPS about your options.